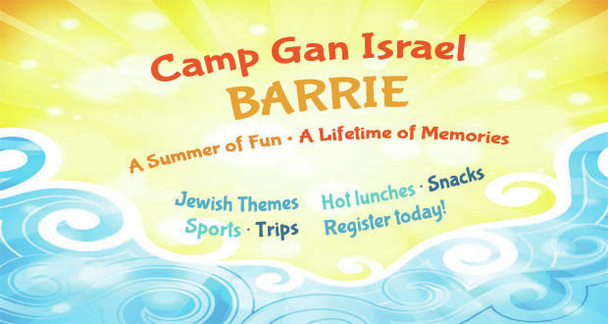 From parents of campers who participated in Camp Gan Israel Barrie 2016. ​The boys had a wonderful time and are asking about next year. Thank you again, it was a great July. Thank you so much for the super amazing summer experience you gave my daughter! She has had a fun, happy and productive summer thanks to you and your great staff. I wanted to take this opportunity to thank you and Mendel and your entire team for your great work. The kids enjoyed themselves very much. You did an amazing job. Kol Ha-kavod . Thank you again for all your efforts. I wanted to express my appreciation and gratitude for the wonderful time you gave my son and the rest of the group at Camp Gan Israel!! !